Dawn Secada works as a Reiki Practitioner to help harmonize your body, mind and spirit. Reiki means “universal life energy” and is an ancient healing method that manipulates energy flows in the body. Reiki practitioners believe there is an energy force in and around the body. They believe that Reiki is a flow of energy between the Reiki practitioner and the receiver of the treatment. It is thought that Reiki releases energy flows and allows the body’s own natural healing ability to work. In Reiki, there are seven main energy centers called chakras in your body. The energy should flow freely through your chakras, in order for you to be spiritually, physically, and mentally healthy. Practitioners believe that if energy paths are blocked, you may feel ill, weak or have pain. You can receive an In-Person Reiki session with Dawn Secada or with Dawn and Deniella. When Dawn and Deniella work together during your Reiki session, the session is conducted using similar techniques as our Spiritual Energy Healings and is done In-Person. This is a very powerful Healing/Clearing session with Dawn performing Reiki and Deniella performing a Shamanic Energy Healing/Clearing. A Reiki treatment session usually lasts 50 minutes. The Reiki practitioner puts his or her hands over or on your body at certain chakras. Most practitioners recommend more than one session. 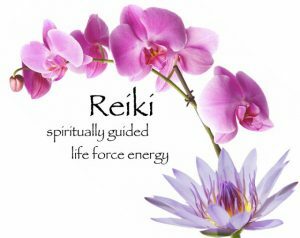 What is Reiki used for? People use Reiki to decrease pain, ease muscle tension, speed healing, and improve sleep. It is sometimes used to help people who suffer from pain or discomfort from cancer or other diseases. However, Reiki is not used as a treatment for cancer or any other disease. Some people who have undergone chemotherapy treatment said they felt better and had less nausea after undergoing a Reiki session. Research is ongoing to determine the benefits of Reiki. Is Reiki safe? Yes. Many people who receive Reiki say they experience a refreshed spirit, better healing, and an increase in general well-being. If you are interested in learning more about a Reiki session, please contact us at 585-205-4116 or email us at UnityEnergyHealings@gmail.com.